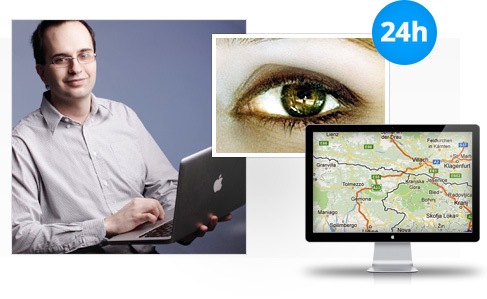 Once installed, our tracking system will yield profits instantly! 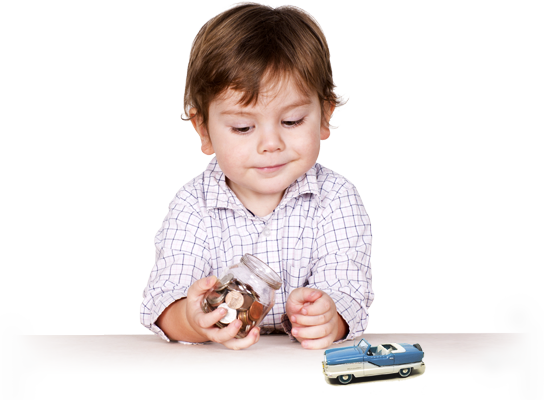 Detect even the smallest swindles, choose reliable workforce. Access our tracking system from anywhere 24hrs a day. We offer a clear web-based surface you can overview in a couple of minutes. Instant SMS message on your mobile phone in case of alert! You can block your vehicle in an SMS from the distance. You can track your vehicle or your entire fleet via your mobile phone. Professional tracking is no longer a luxury! Increase the productivity of your company by tracking. Request a customised quotation for our tracking devices and services! Reduce your administration load with the help of our driver's journal! Monitor the amount of fuel consumed. Follow in real-time the activities of your salespeople! You can check visits, and produce clear reports. You can reduce empty trips, and cut down on costs substantially. Tracking, fleet tracking, vehicle tracking and fuel control – How does our system work? We install our GPS positioning device in your vehicle. The device, through the SIM card inside it, sends data to our central server after data has been processed. Using an internet browser, wherever you are, you can instantly access current and previous positions as well as various statistics. Statistics include distance travelled, fuel level or the amount of fuel consumed. 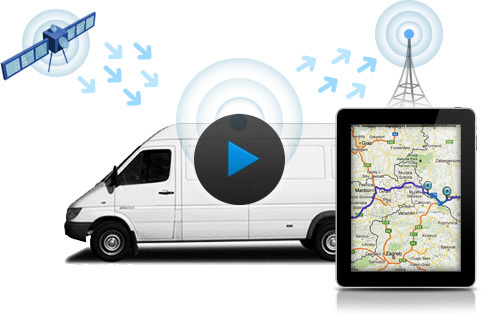 GPS tracking, positioning, fleet tracking, vehicle tracking and fuel control! Why is our tracking, fleet tracking system efficient? It is accessible from anywhere, even via your mobile phone! Control is in your hands, you will always know where your agents or staff are. You can continuously monitor the activities of your staff, and find out about the smallest swindles. You can be sure that your loved ones are safe and secure. In case of an alert, you will be instantly able to access exact coordinates recorded by our mobile tracker. Your accounts will be more accurate. Significant amounts of fuel can be saved with the help our fuel control system. You can easily identify extra costs arising from siphoning out fuel or “detours”. Our services may be available free of charge, without any investment, without purchasing a device. Our internet map software is our own development. It is accessible 24hrs a day so that you can monitor your vehicles or your staff in real time, anywhere and anytime, without intervention in their activities. 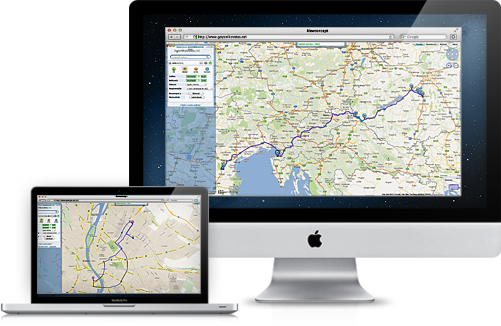 We have street level maps for the whole of Europe, they are easy to use, clear and quick, which will not only make your work easier, but will also increase the productivity of your company. You can monitor various activities and events such as variations in fuel level, speed, engine speed, engine temperature, etc. on easy to understand graphs and charts. You may reduce not only your communication costs, but your office administration will cost you less as well, because some of the work procedures e.g. timesheets are done automatically for you. You can save significant costs on fuel with the help of our fuel control system. You can have on-screen and printable fuel reports. You can have updated information available almost every second with the help of real-time tracking. You can monitor drive, work and rest time with the help of activity charts. With the help of our driver's journal, you can have a full overview of kilometres travelled, waiting times, departure points and destinations of specific vehicles. You can access our map on the internet anywhere, even using your mobile phone. You can reduce your administration load. In case of disputed accounts, it helps clarification. You can add your partners on the map display with the help of POIs. When you have added a partner, the driver's journals will record your partner’s name instead of the address. In this way you can see where, when and which of your partners was visited. You can check kilometres travelled with the help of kilometre charts. You can exclude personal usage or unauthorized vehicle use. You can keep record of overtime, and avoid surprises. You can use our driver's journals as performance justification. You can monitor variations in cargo space temperature on temperature graphs. You can provide your customers with individual user names so that they can monitor the position of their cargo in real-time. You can co-ordinate the activities of your workforce on an ongoing basis. Your foreign partners can also use our multi-language system. 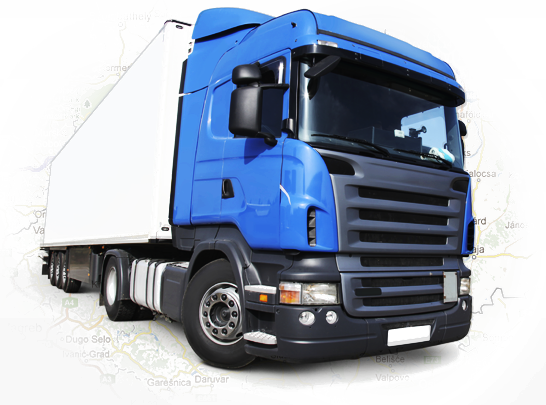 You can organise transport of freight more efficiently. You can reduce the number of empty trips, and make significant savings on costs. You can get updates on cargo space opened, lists of times and locations for subsequent check. You can get updates on speed limits exceeded, and thus avoid fines. You can reduce maintenance costs. You can determine the position of your vehicle accurately in case of theft. You can check use of motorways. You can save significant costs on fuel with the help of our fuel control. You can have on-screen and printable fuel reports. You can monitor the running hours of the machinery. You can overview the activities of the machinery with the help of the driver's journal. You can add your partners on the map display with the help of POIs. When you have added a partner, the driver's journals will record your partner’s nameinstead of the address. In this way you can see where, when and which of your partners was visited. You can easily monitor the work of your staff and agents. You can get regular updates on the activities of your salespeople. You can receive an alert when the S.O.S. panic button is activated e.g. when dangerous goods are transported. You can monitor visits to clients. You will receive an alert whenever the S.O.S. panic button is activated, and will know the exact position of your child or loved one. Your child and loved ones can always rely on your help. You can always be sure that your child and loved ones are safe and secure.